WAYNE, N.J. (AP) — Federal investigators are probing the crash of a tour bus from Canada that injured 23 people in New Jersey. Officials with the Federal Motor Safety Carrier Safety Administration are trying to determine whether the bus company could legally operate in the U.S. Authorities also are examining what caused the accident on an exit ramp along eastbound Interstate 80 in Wayne Saturday. The driver, 51-year-old Neville Larmond of Toronto, told authorities that another driver cut him off. 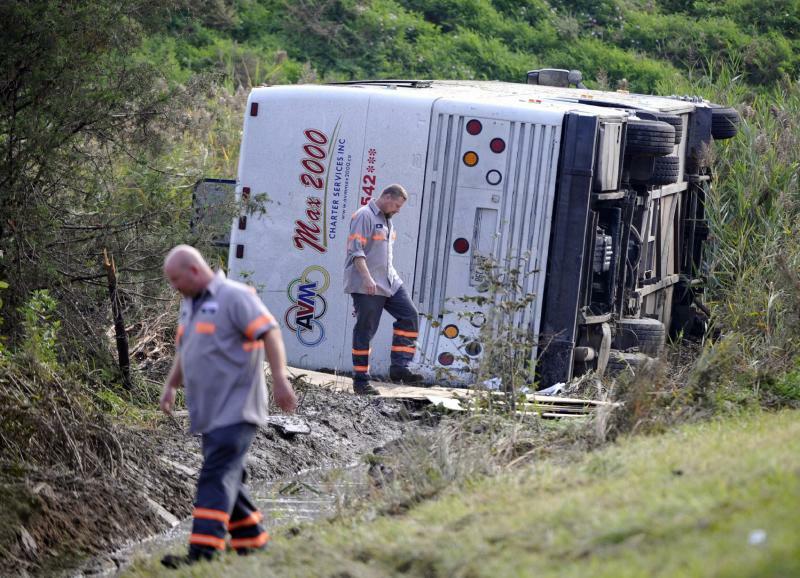 The bus slid down an embankment before coming to rest on its side. There were 57 passengers aboard the bus, which had left from Toronto and was bound for New York City. Many of the passengers were members of a Seventh-day Adventist church in Toronto. Three people remain hospitalized in fair condition.